The Northern Lights are going south this weekend. A geomagnetic storm, caused by a cloud of charged particles ejected from the sun, may bring the aurora borealis as far south as Iowa, Colorado and Washington on Saturday, as these particles bombard Earth, according to the National Oceanic and Atmospheric Administration’s Space Weather Prediction Center. “If the storm is oriented properly, we could have a chance for auroras for several days after impact,” said Tamitha Skov, a space weather scientist based in Los Angeles. Auroras form when charged particles from the sun collide with Earth’s atmosphere. When there is an influx of charged particles during geomagnetic storms, this can supercharge the aurora’s glow, according to Terry Onsager, a physicist at the Space Weather Prediction Center. The particles are the result of a coronal mass ejection, an outpouring of plasma from the sun’s atmosphere that was detected by NOAA on Wednesday. “This is exciting news, considering we haven’t had a decently sized Earth-directed solar storm launch for quite some time,” Skov said, adding that geomagnetic storms are less common during the current period of the sun’s 11-year activity cycle. Onsager said the storm could arrive Saturday morning, which means it may not be visible. But he and Skov both said that prediction could change. 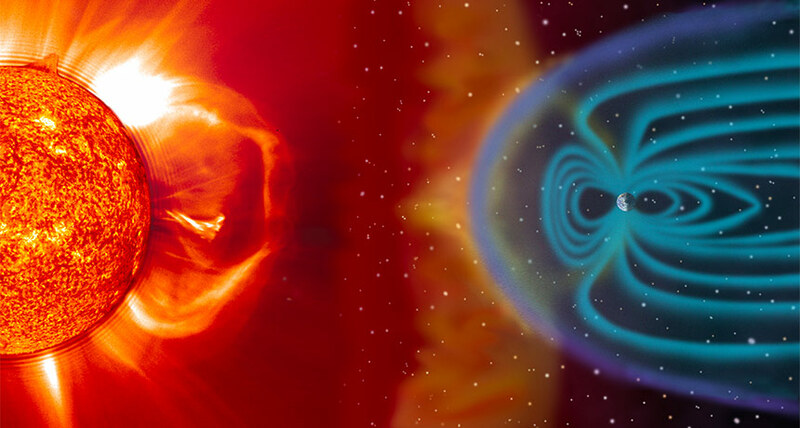 Is it true that solar storm some how affects the human heart (palpitates)?